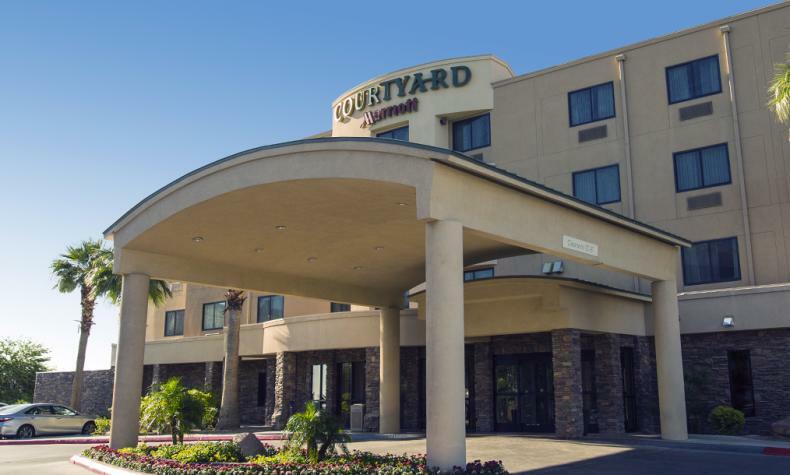 Fully renovated, this Courtyard by Marriott Las Vegas South is conveniently near Mandalay Bay. Enjoy an array of hotel features: free Wi-Fi, high-speed internet, mini-refrigerators and coffeemakers. Get a hot breakfast or dinner, or go to happy hour at the all-new BISTRO with an expanded menu. There’s also a fitness center, 24-hour business center and five meeting rooms. At day’s end, return to your room with luxury bedding to relax. It all makes for a stay that’s comfortable and productive.